We are a small business that are dedicated to high quality spotless cleans, professional service, and attention to detail. We deliver prompt and professional rug cleaning services in the Perth metro area. We can clean all types of rugs; handmade rugs, antique rugs, modern acrylic rugs, oriental rugs and more. First we use our industrial vacuum to deep-vacuum the rug. 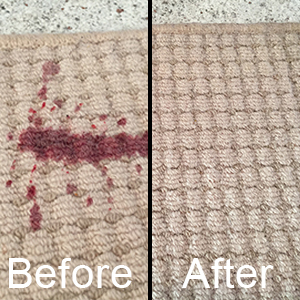 All/any stains on the rug are evaluated with our professional rug cleaning experience and prepped to be removed. All stains are treated with and the areas are then deodorized to ensure complete removal of the stains on your rug. We then do a deep-clean of all the areas including the edges of the rug and any tassels. Pride Carpet Cleaning promise eco-friendly rug cleaning solutions. The rug is cleaned with only steam cleaning, so no dangerous or harmful chemicals are used in the cleaning process. This ensures that your family, pets and friends won’t have any allergic and asthmatic reactions. The steam cleaning process also kills and removes dust mites, harmful bacteria, allergens, helps to reduce agitation to breathing problems and even stopping the spread of influenza. Steam cleaning is approved by the National Asthma Council Australia. This rug cleaning method is safe on all types of rugs of all ages and provides the best results in the industry. That is Pride’s guarantee to you, the customer. Rugs are some of the most trafficked areas of the house and tend to absorb most things that come into contact with it, similar to a large sponge. This is why it’s important to your rugs cleaned. Pride recommends having your rugs professionally cleaned at least once every three months (especially if you have children and/or pets). Rugs can easily build up dirt, dust, bacteria and micro-organisms which can be harmful to your health, even with regular standard vacuum cleaning.